What are the best plants for extracting and making high quality CBD-rich oil? Marijuana, industrial hemp, both? Let’s cut through the legal mumbo jumbo, the obfuscating nomenclature, and the marketing hype and let’s look at what’s really out there for sourcing CBD-rich oil. In the cannabis world there are two types of plants, broadly categorized—hemp plants and drug plants. Hemp plants include plants grown for fiber and plants grown for seed oil. Drug plants include euphoric THC-rich plants and non-euphoric CBD-rich plants. The key difference between hemp plants and drug plants is resin content. Most hemp plants are low-resin plants. Drug plants are high-resin plants. Industrial hemp varieties are typically a low-resin agricultural crop, grown from pedigree seed, with about one hundred tall, skinny plants per square meter, machine harvested and manufactured into a multitude of products. Drug plants are a high-resin horticultural crop, typically grown from asexually reproduced clones, 1 to 2 plants per square meter, hand-harvested, dried, trimmed and cured. In plain English, this says that certain parts of the plant (“mature stalk” and “sterilized seed”) are exempt from the legal definition of marijuana. But not included in this exemption are the flowers, the leaves, and the sticky resin wherever it is found on the plant. Federal law was unequivocal on this point: the resin from any part of the marijuana plant, or any “preparation” made from the resin, is strictly out of bounds. Fiber produced from hemp stalk and oil pressed from hempseed got a legal pass, but not the resin. The Feds didn’t want anyone messing with the resin. As far as medicinal and recreational cannabis goes, the resin is where the action is. The resin contains THC (tetrahydrocannabinol) and CBD (cannabidiol), along with dozens of other secondary plant metabolites (primarily other cannabinoids and terpenoids) that augment human brain chemistry and alleviate physiological and psychological distress. The sticky, gooey cannabis resin is sequestered within the heads of tiny, mushroom-shaped trichomes, found mainly on the plant’s odiferous female flowers (the buds) and to a lesser extent on the leaves. There are also the measly sessile trichomes, which dot the stalk of the hemp plant, but these contain hardly any resin. Non-glandular hairs shaped like tiny inverted commas also cover the plant’s surface. Among low resin hemp varietals, dioecious oilseed plants (for making nutritional oil, body care and industrial products) have a higher density of trichomes than monoecious fiber hemp plants. Hempseed oil is not the same as CBD-rich oil extracted from the flowers and leaves of the plant. Oil pressed from hempseed contains no CBD, no THC, no plant cannabinoids to speak of, but it’s excellent for making varnish, paint, soap, nutraceuticals, and much more. Kentucky CBD: Hemp or marijuana? Right from the start, the Feds assumed that resin content was the key factor that distinguished marijuana from industrial hemp. Today, however, federal law includes a recently added caveat that officially characterizes industrial hemp as having no more than 0.3 percent THC by dry weight. Such a tiny amount of THC would not have a euphoric (or dysphoric) effect. Where did the 0.3 percent THC figure come from? It stems from a 1976 taxonomic report by Canadian plant scientists Ernest Small and Arthur Cronquist, who never intended for 0.3 percent THC to function as a legal demarcation between hemp and other forms of cannabis. The Drug Enforcement Administration opened this can of worms when it tried to ban hemp food products, including nutrient-dense hempseed oil, even though these products are about as psychoactive as a baked potato. On October 9, 2001, the DEA published an “Interpretative Rule,” which stated that “any product that contains any amount of THC is a schedule I controlled substance.” But this ungainly attempt to destroy hemp food commerce in America would falter thanks to the efforts of the Hemp Industries Association (HIA), which engaged in protracted litigation against the DEA. The HIA scored a major victory in February 2004 when the Ninth Circuit Court of Appeals rejected the DEA’s hemp food ban on substantive grounds. The legal status of CBD was not affected by this court decision. The Controlled Substances Act remained the law of the land. Yet CBD hemp oil purveyors would often cite the Feb 2004 court ruling as the basis for asserting that their products are “legal in all 50 states.” This court decision, however, never mentions CBD, and the HIA and Joe Sandler, the HIA’s lead attorney in the case, maintain that this ruling did not legalize CBD. Nor did the 2004 court decision (HIA, et al. v DEA, et al.) mention a specific percentage of THC as a determinative factor regarding what’s permissible in industrial hemp. It wasn’t until ten years later with the passage of the Federal Farm Bill, otherwise known as the Agricultural Act of 2014, that the ‘0.3 percent THC or less’ qualification for hemp was enshrined into federal law. Resin was not mentioned in Section 7606 of the Farm Bill, which also carved out a legal exception for growing industrial hemp in the United States under the auspices of state-approved pilot research programs. This loophole opened up huge opportunities for industrial hemp advocates and entrepreneurs. 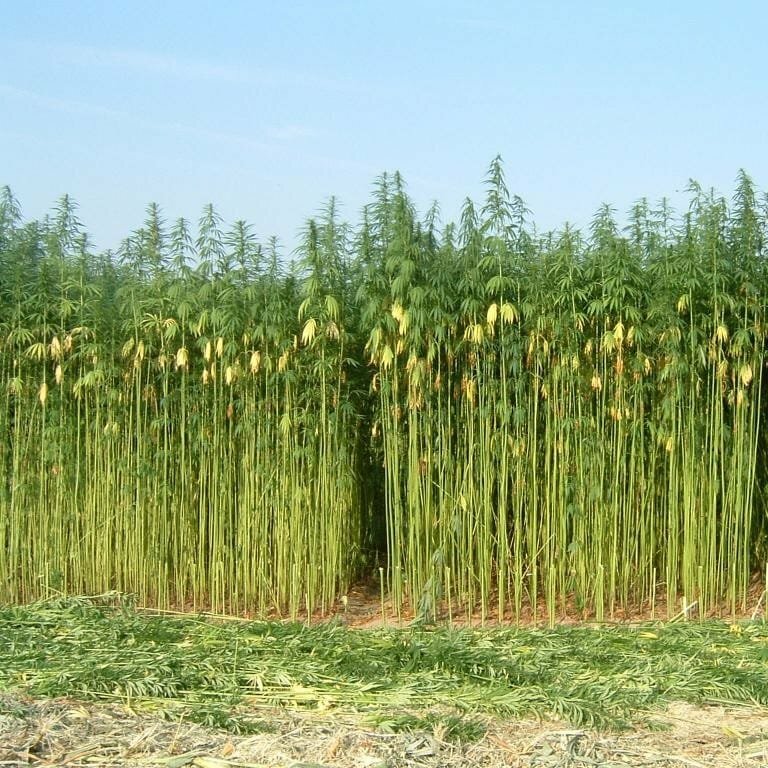 Whereas previously only products made from hemp grown abroad could be marketed in the United States, for the first time in many years American farmers were allowed to cultivate industrial hemp on domestic soil, albeit on a provisional basis. But only states that legalized industrial hemp farming could opt into this federally sanctioned agricultural experiment. Growing industrial hemp outside the parameters of state-sanctioned pilot research is still forbidden under federal law. Kentucky, an early 19th century hemp-growing bastion, was the first state to launch a multifaceted, federally approved pilot program to study the feasibility of farming fiber hemp and hemp for seed oil, as well as farming CBD-rich plants for medicinal oil extraction. It is currently legal under state and federal law for certain licensed Kentuckians to breed, cultivate, and harvest industrial hemp, formulate products, including CBD-rich oil concentrates, and ship these products across state lines. Because Kentucky chose to operate within the context of a federally sanctioned agricultural program, local hemp farmers could access certified, pedigree seed stock from official European and Canadian sources after obtaining a Controlled Substances Import & Export Permit from the DEA. A pedigree seed supply is crucial to maintain the uniformity and consistency of a large-scale, machine-harvested crop. Today there are hundreds of cultivars available to meet the global demands for many industrial hemp products. But industrial hemp varieties are not optimal for extracting CBD-rich oil. So Kentucky farmers sought out high-resin, CBD-rich drug plants from sources in states where cannabis is legal for therapeutic use. Bluegrass ambassadors visited CBD-rich clone repositories in Northern California and returned to Kentucky with cuttings of high-resin cannabis strains, including “ACDC,” which tips the scales at twenty percent CBD and roughly one percent THC by dry weight. By comparison, some oilseed hemp varieties weigh in at about 3.5 percent CBD max with hardly any THC, while low resin fiber hemp has even less CBD. ACDC is the prototypical high-resin, non-euphoric, drug-type cannabis plant. It’s an excellent source of CBD-rich oil, far more prodigious than any internationally certified industrial hemp cultivar or hemp/marijuana hybrid. But ACDC does not legally qualify as industrial hemp because it slightly exceeds 0.3 percent THC by dry weight. ACDC and a number of other high-CBD/low-THC cannabis strains are also being grown in Colorado under the guise of that state’s putative industrial hemp program. But Colorado’s fledgling hemp industry is not compliant with Section 7606 of the Agricultural Act of 2014. Instead of growing hemp for research purposes as part of a federally sanctioned pilot initiative, Colorado leapfrogged official protocol and went straight to large-scale commercial cultivation. Thus, while it’s legal under state law to grow industrial hemp, make hemp products, and distribute these products within Colorado, federal law prohibits the cross-border transport and sale of Colorado hemp oil products. CBD is not legal in all 50 states, but that hasn’t stopped several Colorado start-ups (and others) from marketing CBD-rich “hemp” oil to all 50 states and beyond. Some farmers in Colorado are actually growing high-resin, CBD-rich drug plants and calling it hemp. These “hemp” growers typically harvest their crop several weeks before maturity (i.e., before peak resin content) to keep the THC level at 0.3 percent or less. But sometimes it doesn’t work out that way. Last year, Ryan Loflin, a Colorado farmer, was forced to destroy his entire crop because it tested at 0.5 percent THC, a smidgen over the arbitrary legal limit. This tragicomic episode underscores the folly of defining hemp, as distinct from marijuana, according to a precise THC percentage. Whether ACDC or any other high-resin, non-euphoric, CBD-rich cannabis strain measures slightly above or slightly below the 0.3 percent THC limit won’t make any appreciable difference in terms of the quality of the CBD-rich oil extract or its therapeutic impact. Joy Beckerman, president of Hemp Ace International, a Seattle-based consulting firm, teaches a class for law students on “The Curious Legal Status of CBD and Industrial Hemp-Derived Cannabinoids.” An industrial hemp entrepreneur and advocate for the past 25 years, Beckerman recognizes that cannabidiol has played a key role in jump-starting the creation of new infrastructure for hemp’s vast oilseed and fiber industries. Simply put, huge interest in CBD’s medicinal potential is the main reason why industrial hemp is growing again in the United States. “I see the revenue that can be immediately generated by the hemp CBD market as leading to the funding of an extensive domestic infrastructure for processing hemp fiber and seed into tens of thousands of natural and manufactured products, as well as CBD oil,” says Beckerman. Project CBD applauds the fact that cannabidiol has helped to liberate industrial hemp from the confines of the drug abuse paradigm. Catalyzed by CBD, today’s industrial hemp revival in the United States is a major step forward that bodes well ecologically and economically. But it also highlights ongoing problems related to cannabis prohibition. CBD has undoubtedly helped to loosen federal law with respect to industrial hemp. But current federal law prohibits American farmers from growing high-resin CBD-rich drug plants that narrowly exceed the 0.3 percent THC limit, even though these high-resin cannabis plants are much better suited for extracting CBD-rich oil than low-resin industrial hemp. Cannabis oil should be safely extracted without using toxic solvents and it should be formulated into high quality products with no artificial ingredients, chemical preservatives, poisonous thinning agents, or corn syrup. If a large CBD-rich oil yield is the goal, then it makes little sense to decide whether a plant qualifies as a worthy source of CBD on the basis of THC content. To be clear: The best source of whole plant, CBD-rich oil is high-resin, CBD-rich cannabis—regardless of minor THC variations—that is sustainably grown without the use of pesticides or plant growth regulators. Bottom-line economics, however, may argue in favor of massive acres of seed-germinated, machine-harvested industrial hemp with 3.5 percent CBD, rather than a much smaller number of high resin cannabis plants, grown from clones, with 20 percent CBD by dry weight. Unlike with medicinal cannabis gardens, there are no plant limits for industrial hemp. For many hemp farmers around the world, CBD oil is actually a co-product or byproduct of industrial hemp grown primarily for another purpose. Farmers can make additional money if they sell their unused hemp biomass to a business that wants to extract CBD from the leftovers. This ‘dual-use’ practice is widespread among large-scale hemp growers in Canada, for example, but it’s technically illegal, entirely unregulated, and the hemp biomass sold via underground channels is often tainted with pesticides and requires toxic solvents to extract the CBD. If grown outdoors in tested soil and carefully processed, industrial hemp can be a viable source of CBD. But it is not an optimal source of CBD-rich oil for several reasons. Industrial hemp typically contains far less cannabidiol than high-resin, CBD-rich cannabis, and huge amounts of skimpy hemp foliage are required to extract a small amount of CBD. This raises the risk of contaminants as hemp is a bio-accumulator, meaning the plant draws toxins from the soil. That’s an excellent property for phyto-remedial purposes, but it’s not so great for making ingestible medicinal oil concentrates. Heavily refined CBD paste derived from industrial hemp foliage is poor starter material for formulating CBD-rich oil products. Both the imported hemp paste and the products infused with “pure” hemp-derived CBD powder that proliferate online typically include a thinning agent, which dilutes the oil that is heated and inhaled by vape pen users. Medical patients should beware of vape pen oil that contains propylene glycol as a thinning agent. When overheated, this chemical additive produces formaldehyde, a carcinogen, as a byproduct, according to a 2015 report in the New England Journal of Medicine. Why do so many vape oil products contain this thinning agent? It’s because of the dubious quality of the extracted material from which these unregulated vape oil products are made. Products with heavily processed “pure” CBD derived from industrial hemp lack the full spectrum of aromatic terpenes and other cannabinoids found in high-resin drug plants. These compounds interact synergistically with CBD and THC to enhance their therapeutic effects. Scientific research shows that whole plant CBD-rich cannabis oil has a broader range of therapeutic attributes and greater therapeutic efficacy than single-molecule CBD. As far as current federal law goes, any CBD-rich plant that exceeds 0.3 percent THC is considered marijuana and is therefore off limits for growing and extracting. But the Feds are much more lenient when it comes to pharmaceutical THC. Single-molecule THC (sold as “Marinol”) is a Schedule III drug available by prescription in all 50 states, even though it makes one as high as a kite. Schedule III is reserved for therapeutic substances with low abuse potential. Whole plant cannabis, meanwhile, continues to be classified as a dangerous Schedule I drug with no medical value. Single-molecule compounds are the preferred domain of Big Pharma, which favors patentable isolates over “crude” whole plant synergies. It’s only a matter of time before the Food and Drug Administration gives a thumbs-up to synthetic, single-molecule, pharmaceutical CBD. The FDA, however, is generally not in the business of approving plants as medicines (though there are a few exceptions). The FDA’s single-molecule tilt reflects a cultural and political bias that privileges corporate pharmaceuticals. Single-molecule medicine is the predominant corporate way, the Big Pharma way, but it’s not the only way, and there’s scant evidence that it’s the best way to benefit from cannabis therapeutics. On February 4, 2016, the FDA issued warning letters to eight CBD hemp oil retailers for making unproven medical claims about 22 different hemp-derived CBD products. The FDA also tested these products for CBD content and found some that contained no cannabidiol. This was the second round of FDA warning letters sent to CBD hemp oil businesses for product mislabeling. Some of the same products that had been previously identified as containing no CBD were still being hawked by unscrupulous internet storefronts. Exposing fraud is necessary and laudable on the part of the FDA. That’s what a regulatory agency should do to protect vulnerable consumers. Over the years, however, the FDA has undermined its own credibility by marching in lockstep to the drug war drumbeat. On April 20, 2006, for example, the FDA dissed medical marijuana by issuing an advisory memo, which repeated the official fiction that cannabis is both dangerous and therapeutically useless. Under the current regulatory regime, a product can’t be marketed as a medicine unless the FDA approves it as safe and effective for a specific condition. But FDA approval is no guarantee of safety or efficacy. Big Pharma, like Big Tobacco, routinely falsifies studies by hiding clinical trial data about adverse side effects and negative outcomes. And all too often, the FDA handles corporate criminals with kid gloves. Limited by single-molecule dogma and allergic to plant compounds that can’t be patented, Big Pharma is way behind the curve with respect to cannabis therapeutics. For all its billions, Big Pharma hasn’t done much for children with intractable epilepsy. Little Charlotte Figi in Colorado, featured on CNN, wasn’t helped by Big Pharma. It was oil from a resinous CBD-rich cannabis plant that stopped her chronic seizures and saved her life. Charlotte’s Web, the CBD-rich strain that does wonders for children with Dravet’s Syndrome, isn’t a FDA-approved pharmaceutical. It came from marijuana growers in Colorado, where medicinal cannabis is legal. A lab analysis of Charlotte’s Web from ROC [Realm of Caring] Labs, dated October 16, 2013, reports the total CBD content at 7.28 percent and THC at 0.24 percent. These numbers suggest that Charlotte’s Web might be a cross between high-resin cannabis and industrial hemp. For marketing purposes, however, Charlotte’s Web was promoted as hemp and nothing but hemp. GW Pharmaceuticals, a British firm at the forefront of developing cannabis-based medications, utilizes a proprietary cultivar known as ‘Grace,’ which measures around seven percent cannabidiol and sub-0.3 percent THC. ‘Grace’ is grown outdoors in the United Kingdom. Bucking the Big Pharma trend while establishing a foothold in that sphere, GW is researching whole plant CBD–THC combinations, as well as cannabis-derived isolates. Seven percent CBD is not nearly as attractive as twenty percent CBD (the California standard) if the goal is to grow and harvest cannabis for maximum CBD-rich oil production. European and North American botanists, accordingly, have set their sights on breeding a stable politically correct seed line with a CBD level that tops the charts and barely any THC so that it technically qualifies as industrial hemp under federal law. When it comes to CBD-rich oil production, the 0.3 percent THC legal limit is an absurd, impractical, resin-phobic relic of reefer madness. It has become the lynchpin of cannabis prohibition, a venal, dishonest policy that impedes medical research and blocks patient access to valuable therapeutic options, including herbal extracts with various CBD:THC ratios. For patients struggling with a wide range of conditions, CBD and THC work best together, enhancing each other’s beneficial effects. Thus far, twenty-three U.S. states have enacted medical marijuana laws and 17 states have passed versions of ’CBD-only’ laws that ostensibly permit the therapeutic use of high CBD/low THC products. None of the ‘CBD-only’ states, except for Kentucky, are in compliance with federal law regarding industrial hemp. There’s no consensus as to the proper THC limit for industrial hemp: North Carolina puts it at 0.9 percent; in Texas, it’s 0.5 percent. Each state government sets its own dysfunctional rules. Some states limit the sources of CBD-rich products and specify a narrow range of conditions for which CBD can be used; others do not. Leading advocates for ‘CBD-only’ laws have argued that this legislation is a crucial first step toward full-fledged legalization of medical marijuana. Thus far, however, there have been no such advances in any states that passed ‘CBD-only’ laws. Most patients are not well served by ‘CBD-only’ laws. They need access to a wide spectrum of whole plant cannabis remedies, not just low THC products. Confucius once said that to change society one must start by calling things by their real names. If maximizing CBD-rich oil output for product formulation is the objective and the best plant sources are federally illegal because of a minuscule amount of THC, then perhaps it’s time to call things by their real name. It’s not industrial hemp that’s growing when American farmers harvest their cannabis crops before full maturity to minimize THC content. These are high-resin, CBD-rich drug plants, albeit the non-euphoric kind—in essence, marijuana that doesn’t make you feel high. And marijuana is still prohibited under federal law. Martin A. Lee is the director of Project CBD and the author of Smoke Signals: A Social History of Marijuana—Medical, Recreational and Scientific. Huge interest in the medicinal potential of CBD has catalyzed a rebirth of industrial hemp in the United States. There are two types of cannabis plants, broadly speaking—low resin hemp plants and high resin drug plants. Low-resin industrial hemp includes plants grown for fiber and for seed oil. High resin drug plants include euphoric THC-rich plants and non-euphoric CBD-rich plants. Industrial hemp is not an optimal source of CBD-rich oil. Federal law prohibits American farmers from growing high-resin CBD-rich drug plants that narrowly exceed 0.3 percent THC, even though these high-resin cannabis plants are much better suited for extracting CBD-rich oil than low-resin industrial hemp. The 0.3 percent THC federal legal limit for industrial hemp is an aribitrary, impractical, scientifically baseless distinction designed to maintain marijuana prohibition, a disreputable policy built on a mountain of lies. American farmers in Colorado and elsewhere are growing high resin CBD-rich marijuana and calling it hemp. These “hemp” growers typically harvest their crop early to minimize THC content. Colorado start-ups are marketing CBD-rich oil to all 50 states, despite the fact that federal law bans the cross-border transport and sale of Colorado cannabis oil products. CBD is not legal in all 50 states. The Federal Farm Bill of 2014 carved out an exemption for growing and marketing industrial hemp under the auspices of state-approved pilot research programs, but only one state thus far implemented such a program. Licensed farmers in Kentucky are currently allowed to breed, cultivate, and harvest industrial hemp, formulate products, including CBD-rich oil concentrates, and ship these products across state lines. For many hemp farmers in Canada and Europe, CBD oil extraction is actually a co-product or byproduct of industrial hemp grown primarily for another purpose. Farmers earn extra money by illegally selling their leftover hemp biomass to businesses that want to extract CBD. CBD and THC enhance each other’s therapeutic effects. Most medical patients need access to a wide spectrum of whole plant cannabis remedies, not just low THC products.